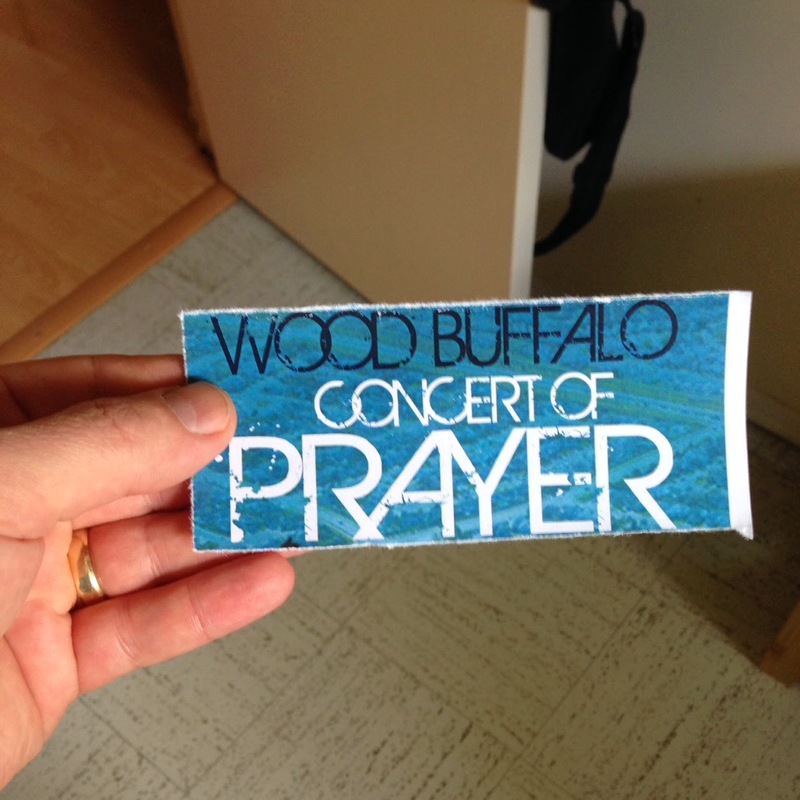 I am very grateful to Beverly Fawcett for inviting me again to the city-wide prayer meeting at the Sawridge, or, as they've renamed it - the Wood Buffalo Concert of Prayer. As was said several times last night, we could always use more prayers. There is an undeniable power as many different churches and congregations come together in common purpose, to pray for our leaders in government, education, arts, social services, justice, and so many other areas. It was great to see Elsie Yanik at last night's gathering. At 96 years young, she still manages to raise her words up to heaven in a way that belies description. "I have some disturbing news to share with you Elsie," I said to her before the concert began. "What's that?" she asked, smiling broadly, knowing that I had my tongued firmly planted in my cheek. "This summer, I'm going to be painting a portrait of you, eight feet tall by five feet wide." "I'll bring you over to look at it when I'm done, but if you think it's bad, you have to promise to lie!" She laughed. Seeing Elsie's joy and faith is such an elixir, as I was still unsettled. I had run into a friend in the back parking lot who was really upset, a friend who had intended to attend the evening of prayer. However, someone, also attending, decided to cast judgement about this man and question both his integrity and his intentions. He was frothing mad, hurt, and disheartened. The first 10 minutes of my time at the Sawridge was spent with this generous soul who needed, no - deserved, a friend. He was on my mind and in my heart through the whole thing. It has been, and continues to be, a time for prayer, and mindful reflection. We lost another person on the worksite yesterday. There seems to have been so many over the last year, accidents and incidents that rob families of someone special. Mark Little from Suncor shared with us the reality that beyond the shocking headlines are husbands and wives, mothers and fathers, sons and daughters, and countless others whose live are forever altered when we unexpectedly lose someone. Mark is a big guy, tall, with broad shoulders. Despite his obvious stature and strength, the weight of responsibility must be tremendous, being in charge of an operation that employs thousands of people. It was clear that faith plays such a huge role in his leadership, and that people and families are paramount. 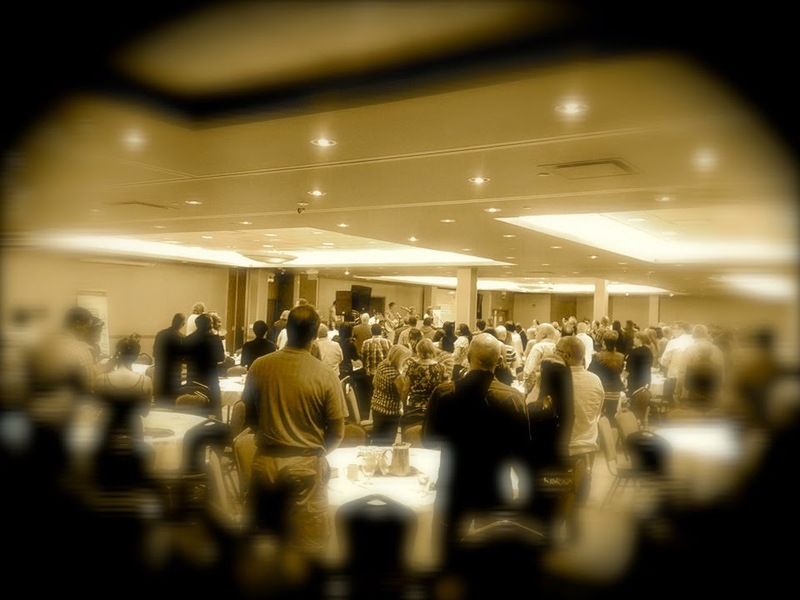 As he prayed for all the individuals who have been affected by a worksite death, I could tell that he pictured each and every one in his mind as shared his powerful message. In many ways, these last 6 months have not been easy for people in leadership, particularly in government. Public service is fraught with peril, as acknowledged by Mayor Blake in her remarks. I'm sure many of her colleagues, past and present - including myself, would agree with her. I'm not going to sugar coat the fact that I am a big believer in Melissa. She serves selfishly, with integrity, passion and with every ounce of energy that she can muster. There are reasons why she is one of the most respected mayors in the country, let alone the province. On a personal note, she has been a great mentor and role model for me, a trusted friend and colleague. Despite a schedule that would make anyone cringe with fear, she remained present and engaged throughout the entire two and half hour prayer concert. There are many leaders who would have taken any excuse to duck out after their part of the program was done. It hurts me when people attack her character, particularly on social media. And while she is incredibly strong, every poke, every jab leaves a mark. She was on my mind and in my heart as well last night. My friend and former council colleague, Phil Meagher, was also there, and stayed from beginning to end. It had been a long and gruelling day at the office, and despite wishing he could just stay home, Phil stayed, served and prayed. 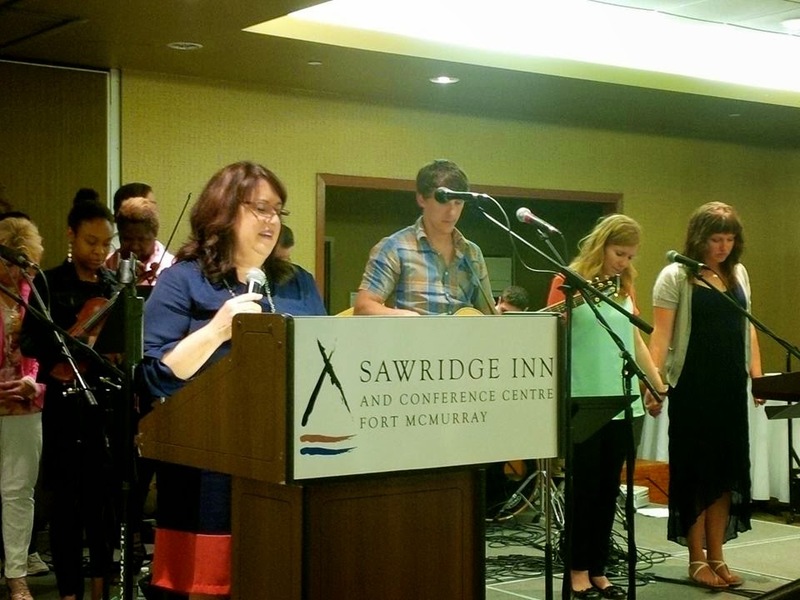 I was so grateful that Constance Scarlett, the new ED of Arts Council Wood Buffalo joined us. 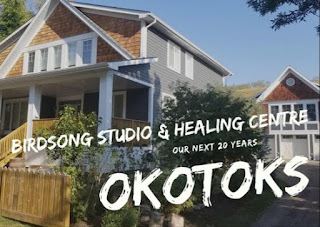 She is a strong leader for the arts and our community, full of integrity, character and heart. It is my honour to be introducing her to key leaders in the community this week as she dives into the new job. I observed that hearts were lifted, voices and prayers raised, and that a community emerged from the event stronger, more resilient and cohesive, emboldened by prayers, fortified by fellowship. Thank you Bev for inviting me to attend and for being such an inspiring, loving, and determined person of faith.